Surrounded by the Indian Ocean, this lively and dynamic country is full of surprises. Your senses will be stimulated by the noises, smells and colours which shape the country’s identity. Do not be surprised if you encounter cows or elephants walking down the street! Whether you decide to visit the vibrant state of Rajasthan, take a cruise in Kerala, or sunbathe on a beach in Goa, you will be sure to enjoy yourself. To make the most of your experience, stroll through cities home to maharajah palaces, Sadhu and Jain temples. You may also want to explore the natural landscapes of dense forests, deserts and mountains; perfect for trekking, paragliding, safari trips or even elephant rides. Last Updated: March 20, 2019 18:08 ESTThe Health tab was updated - travel health information (Public Health Agency of Canada). In the cities of New Delhi, Mumbai, Chennai and Bangalore, you will find medical centres providing care equal to Western standards. This list of services includes Apollo Hospitals, Woodlands Medical Center and Fortis Hospital. Well-equipped hospitals are not limited to these cities, however, as India offers many competent doctors. For instance, the Wellesley Medicenter in Kolkata is dedicated to travelers. Most local pharmacies seem to be well supplied, yet it is always worth bringing a personal medical kit. For the use of private ambulance, you will have the choice between the emergency services of the Hinduja National Hospital (2445-2575), the Apollo Gleneagles Hospital (1066) or the Woodlands Medical Center. However, for public emergency assistance, you will need to contact 102. 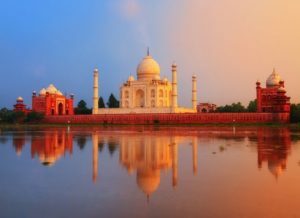 Is India Safe for Travel? Both, a visa (or an e-Tourist Visa) and a passport are required to enter India. The passport must be valid 6 months beyond the date of entry.